Acoustic composer and world-class guitarist Tony Skinner is a true legend of the art. Skinner’s undying love for the guitar has led the stringed craftsman into a marriage of forty plus years with his beloved instrument of choice. He has written several books and contributed essays to over 250 issues of Total Guitar, Europe’s best-selling guitar magazine, with sales in excess of 10 million magazines and CDs. Amazingly, Skinner has been able to capture some of these harmonic principles in his new album The Acoustic Composer. 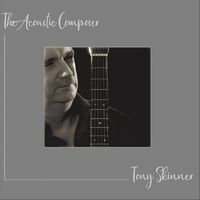 Tony Skinner’s latest offering is a musical biography set in the voice of the guitar. The Acoustic Composer features twelve timeless compositions. Skinner’s passionate guitar solos are breathtaking and work as the fuel of inspiration that reaches the hearts of his listeners. This epic recording used some of the best vintage gear including a 1964 Neumann U67 valve microphone with a 1959 EMT plate reverb and was mastered at the legendary Abbey Road Studios in London. The Acoustic Composer is filled with enchantment and guitar chorales made poetic through Skinner’s charm. Tracks like I Hope You’ll Be Strong and Fiesta work well in revealing the album’s depth and continuity. The Acoustic Composer is a lesson for us all in musical conversation by means of guitar instrumentation.